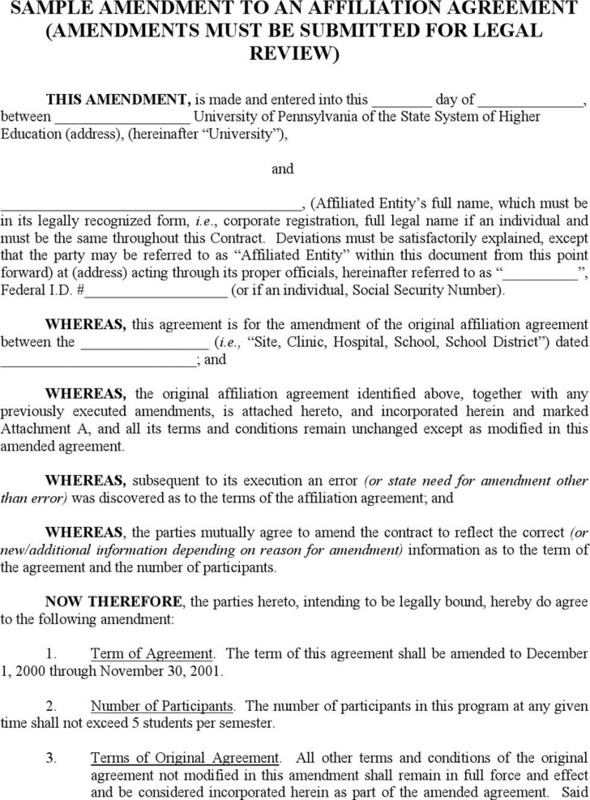 Contract Amendment is a formal document used to record changes that you and the other party reached an agreement. 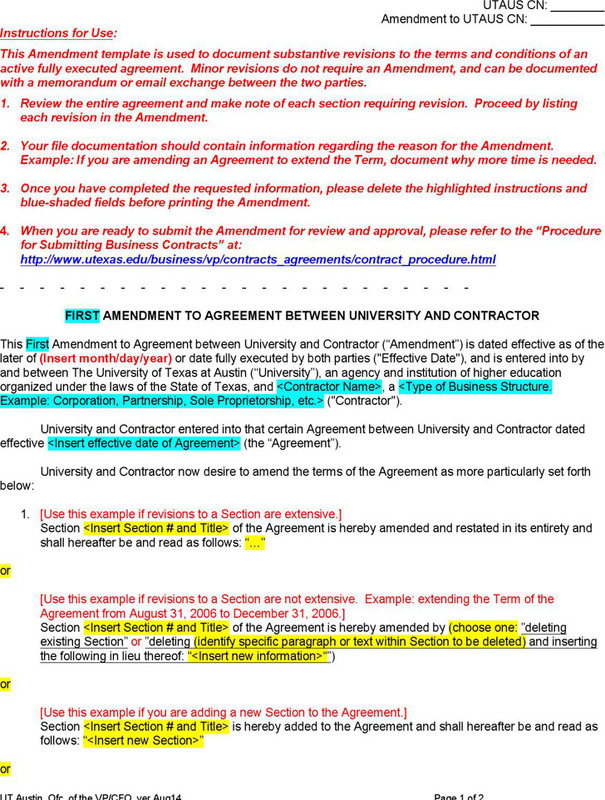 A Contract Amendment helps you adjust certain terms of a contract, without removing the entire original agreement. 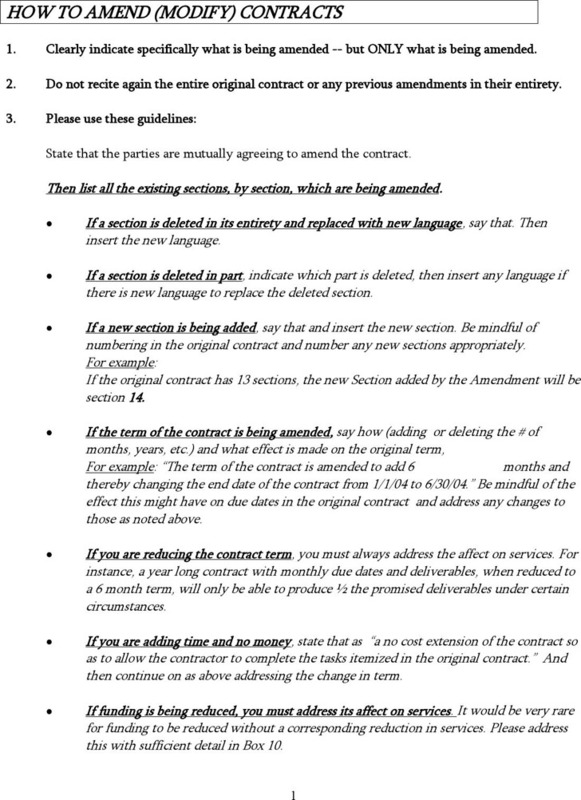 Our contract amendment templates can help you incorporate any changes to the existing contract quickly, whether it's an addition, deletion, correction, or small changes. We provide plenty of contract amendment templates for you, such as Sample Amendment to Agreement and Amendment to Agreement.